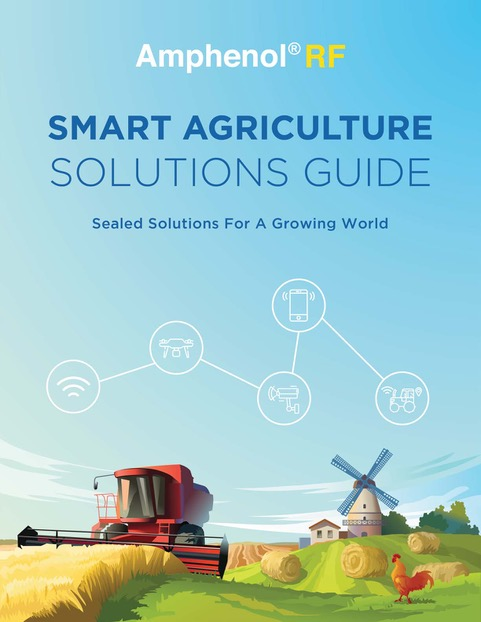 Amphenol RF is excited to introduce the Smart Agriculture Solutions Guide, a digital short-form catalog designed to streamline the interconnect selection process within the Smart Ag vertical. This comprehensive guide provides customers with an overview of the emerging IoT market, Smart Agriculture, also known as Precision Farming, and a breakdown of the core applications, alongside valuable product information required for developing the infrastructure necessary. Amphenol RF is a leading manufacturer of coaxial connectors for use in radio frequency, microwave, and data transmission system applications. Headquartered in Danbury, Connecticut, USA, Amphenol RF has global sales, marketing and manufacturing locations in North America, Asia and Europe. Standard products include RF connectors, coaxial adapters and RF cable assemblies. Custom engineered products include multi-port ganged interconnect, blind mate and hybrid mixed-signal solutions.